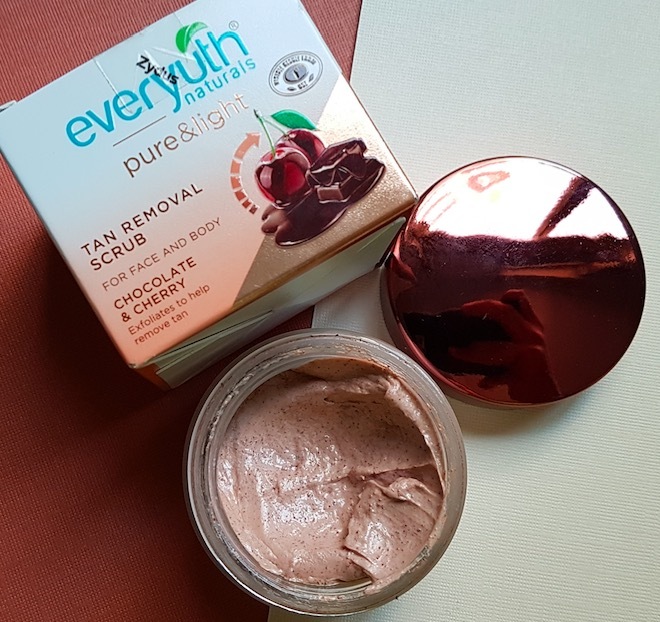 Hello everyone, today am reviewing the Everyuth Pure & Light Tan Removal scrub that I’ve been using for over a month now. 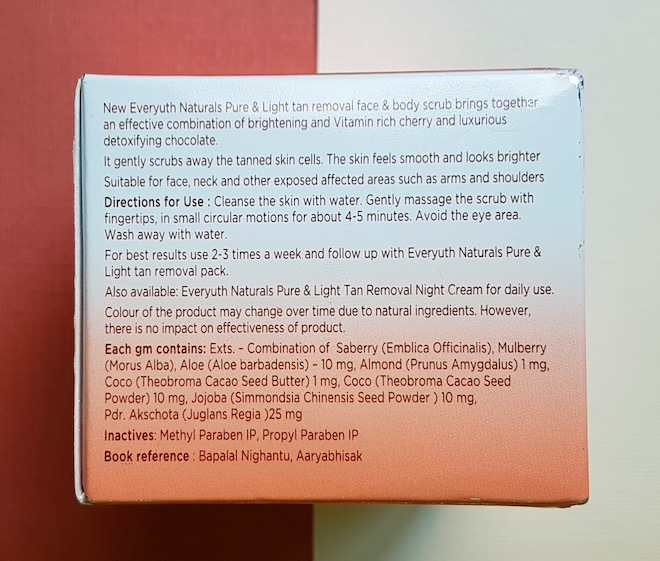 Everyuth Naturals has launched their ‘Tan Removal’ skincare range two months back. This new collection includes four products – Scrub, pack, serum and night cream. 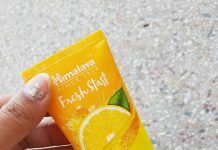 I bought two of their products – scrub and pack and have been using them religiously since then. 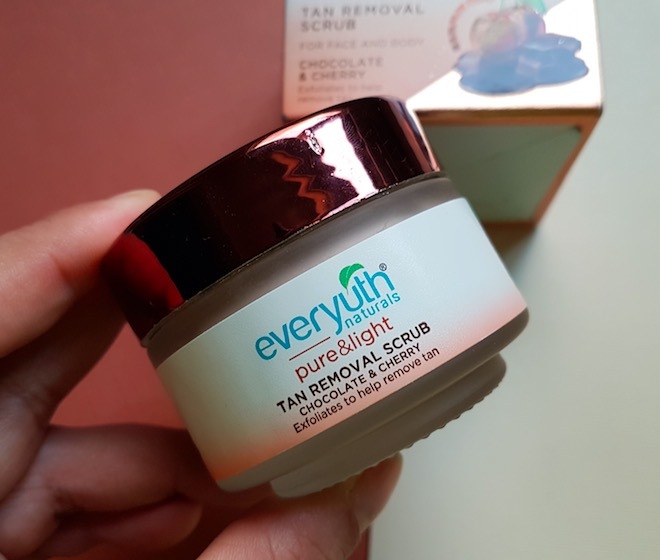 Packaging: Everyuth Pure & Light Tan Removal Scrub comes in a clear glass jar with rose gold cap. The packaging looks very luxurious and high-end brand. The jar came inside a carton that contains all the vital information related to the product. 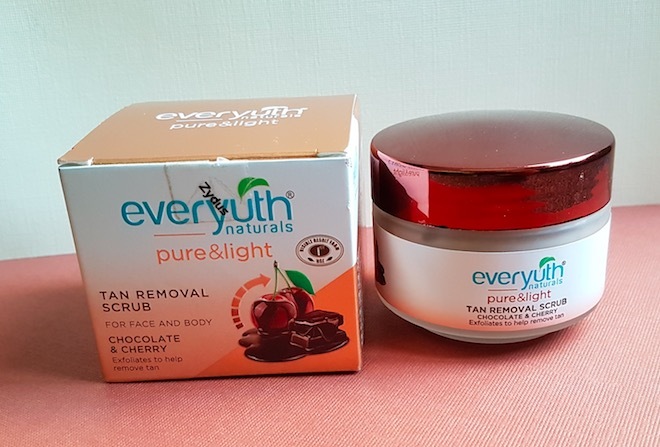 Price & Availability: The cost of the Everyuth Pure & Light Tan Removal scrub is Rs.115 for 50g. 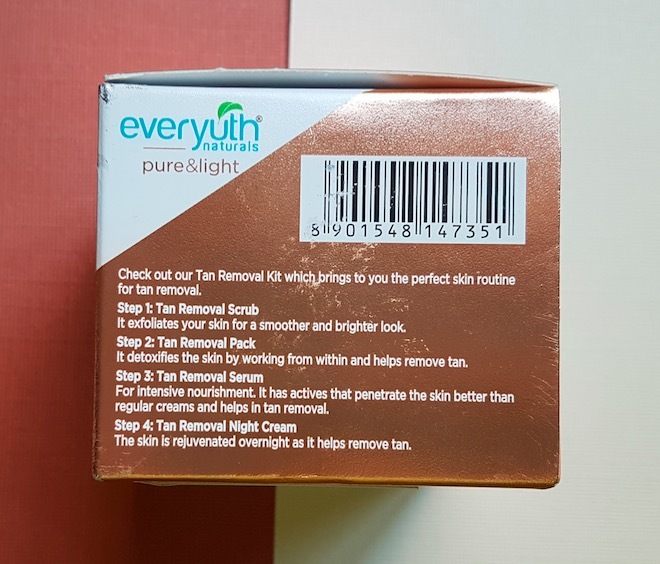 Everyuth Tan Removal products are easily available at local beauty stores. 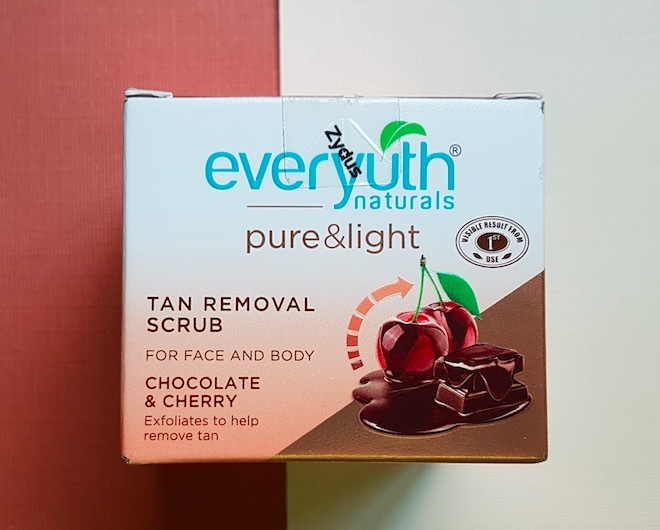 My Experience: Everyuth Pure & Light Tan Removal scrub comes in a pinkish brown colour and contains loads of tiny scrubbing granules. It has a sweet chocolate fudge kind of scent that I’m personally not very fond of. However, the fragrance is mild and doesn’t cause any irritation while using it on the skin. We’ve been travelling for the past one month, and it led to the tanned and dull skin. I took this scrub along with me on our vacation, but I didn’t get much time to use it regularly. We came back home two weeks ago, and I’ve been using this scrub religiously three times a week since then. 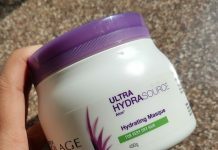 I take a generous amount of it and massage nicely on my damp skin. I keep on massaging it for good 4-5 minutes and then rinse it off with water. 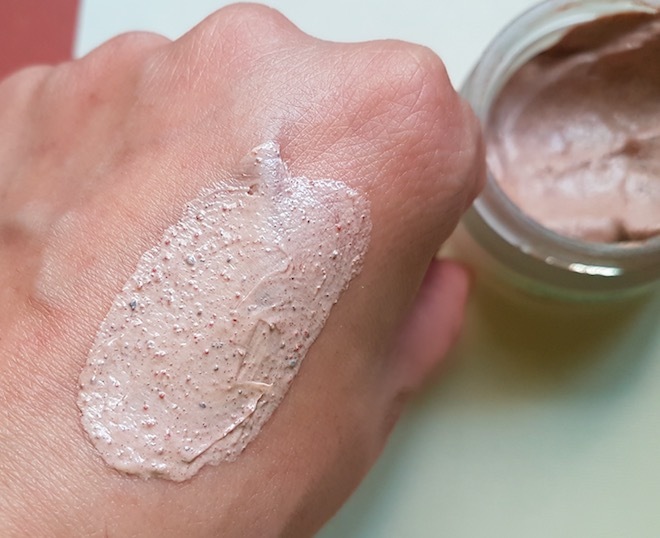 It exfoliates the skin very nicely, leaving the skin clean, fresh and visibly clear. It helps remove dead skin flakes and whiteheads from my t-zone area. 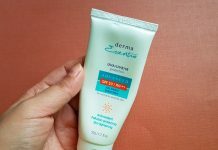 After using this scrub for two weeks, the tan from my skin has reduced so much, and my skin looks smooth and even-toned. 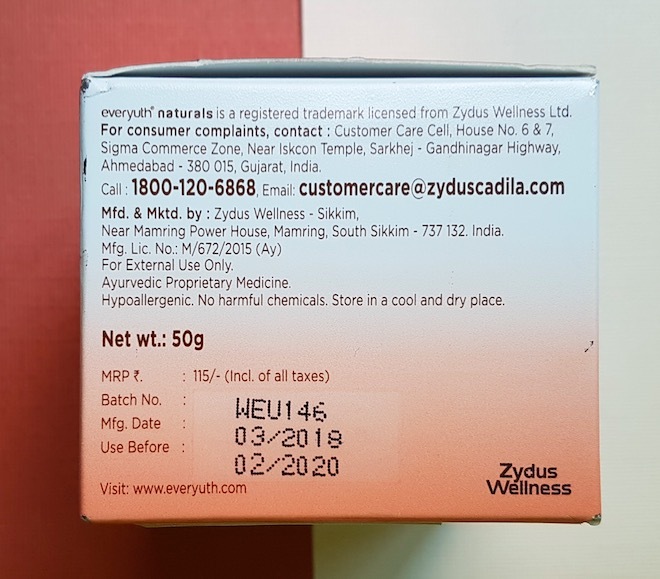 I used this scrub on my face, neck, hands and feet and got visible results after 3-4 usages. It has not only reduced tan but also provided an excellent exfoliation leaving the skin clean, smooth and glowing. It is infused with the goodness of chocolate and cherry extracts. A gentle scrub that removes dead skin, whiteheads and reveals clear and smooth skin. It gives an instant glow to the skin. It lives up to its claims and helps to remove the tan from the face as well as other parts of the body. 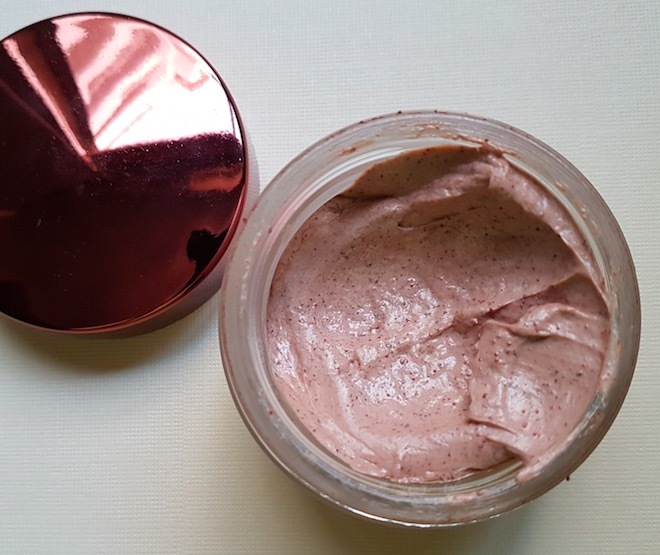 It is a unisex product and can be used by all skin types. It is affordable, and the quantity provided for its price is quite impressive. Overall, I will highly recommend buying this product as it is one of the best, affordable anti-tan scrub available in the market. To be honest, I've not found any reason to not buy this tan removal scrub and this happened after a long time that I liked a product so much. Its base is creamy or watery?